I am in desperate need of a top cover for my Sandstone above ground pool. due to heavy snow and ice pulling my cover in. This part has snapped off. Know of any place I can find it? I have been scouring the internet with no luck so far. Hi Wendy. The Sandstone is a Lomart pool and there is a pretty good chance the only place you will find parts for it is from a Lomart dealer. They are owned by the same parent company as Doughboy so it is very possible a Doughboy dealer may be able to order it for you also. I would find the nearest dealer of one of these pools and see if they can order the part for you. Many stores, even if they are not close by, could take the order over the phone and have the part shipped to you. I have finally found the part number from where I bought the pool from. The parts are 31683-365-00000 and 31684-365-00000 and 56440-365-05175. Do you think these are compatible with other pools? The handbook actually said its AKA a Meadowbrook. Hi Wendy. The name Meadowbrook does not ring a bell with me. 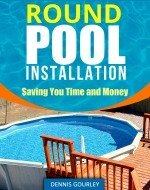 The part numbers in your book would not be compatible with other manufactures of above ground pools. Most of the time the store where you bought the pool would be able to order parts for you. Either that or another store selling that brand. Did you ever find the parts? Hi Wendy ---- I need the same exact parts you were looking for!! Did you ever find them, and if so, where? Yes I did get them and repaired our pool last year. The part numbers are 31683-365-00000 and 31684-365-00000 and 56440-365-05175 and I got them through Angela Taylor at angela@recproductsinc.com. She was extremely helpful and I had them in a week. The resin clamp top is $9.45, the clamp base is $4.75 and the uprights are $21.25 plus shipping which should run about $25-35 depending on how many of each part you need. The number is 1-800-986-0748.